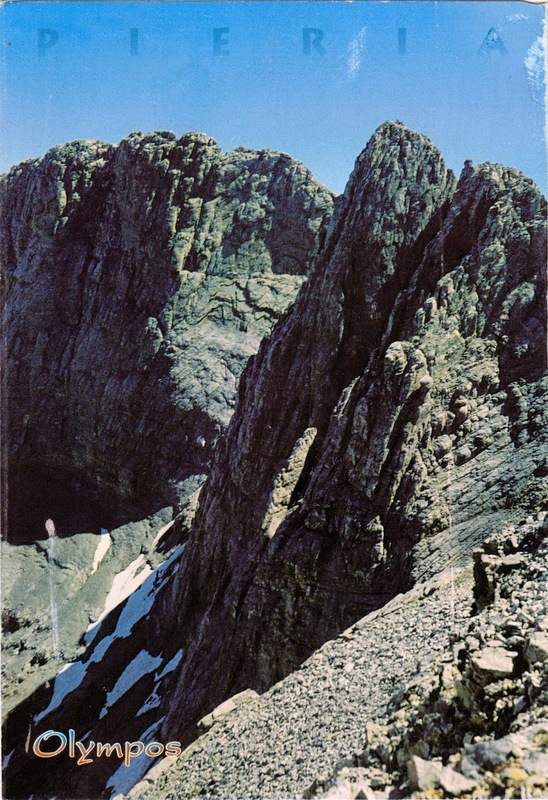 On this Earth Day came postcard GR-38421 showing Mount Olympus, the highest mountain in Greece with 52 peaks, deep gorges, and exceptional biodiversity. According to Wikepedia, its highest peak Mytikas, meaning "nose", rises to 2,917 meters or 9,570 feet and is one of the highest peaks in Europe in terms of topographic prominence. Olympus was notable in Ancient Greek Mythology as the home of the Twelve Olympians. Mount Olympus is also noted for its very rich flora with several special species. It has been the first National Park of Greece since 1938, and a World's Biosphere Reserve.